Many people have strong desire to explore why Mac DVD player not working and want to figure out the best solution to tackle the problem. In fact, there is no "one right way" to get DVD player back to work on macOS (macOS Mojave). 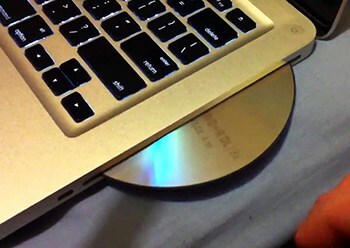 It is because there are diversified causes for DVD won't play on MacBook/iMac, for example, DVD is scratched, DVD drive is damaged, DVD disc is unsupported, etc. Thus, correspondingly, the solution is varied and changeable. In other words, before getting your DVD player back on track, you'd better locate the reason for DVD player not working on Mac. And the following cases will be your best guide. "My MacBook pro started to refuse to read some DVDs and I tried to learn couple of solutions on forums. But none of them is worked for me. Desperately, I leave it alone. Several month later, I found that My laptop SuperDrive refuse to read any DVDs. It spins a disk for a moment and ejects. What's going on?" Solution: Not all DVD won't play on Mac issues are related to the broken superdrive. Sometimes, the reason for MacBook Pro DVD drive not working or iMac DVD player not working is so simple: too much dust on the lens. Honestly, this "bug" can be easily fixed without re-purchasing the replacement of superdrive: apply a special CD lens cleaner or a minute brush to clean the left side of DVD drive (the lens should be at the left hand side). "Yesterday, I put a DVD on my laptop DVD drive and found Mac DVD player not working. I know for sure that is not caused by DVD, because I played it on my other DVD players and it plays normally. Is it true that my DVD drive is bad or damaged? If the answer is positive, what should I do?" Solution: Once you confirm that your laptop DVD drive is completely damaged, the wisest choice for you is to repair DVD drive or purchase a new one in order to fix laptop DVD drive not working issue. Of course, the charge is always expensive. "My favorite DVDs are scratched unexpectedly and the situation of DVD player MacBook Pro not working occurs when I put DVDs into DVD drive. How Can get a very dirty DVD to play on my DVD player?" Solution: Generally speaking, the default DVD player is very sensitive to the quality of DVD disc. 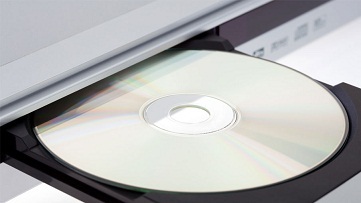 If your DVD is scratched or dirty, your Mac DVD player may accept the disc (Mac DVD player skipping over damaged area) but there might be no sound coming from DVD player or the image quality on screen may be blurry; if your DVD is seriously scratched, the disc will directly become unusable. 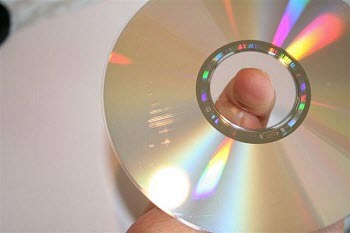 As for small scratches on the surface of your DVDs, clean, polish and wax them to repair damaged DVD; for deep scratches on DVD, utilize super glue, a pin or toothpick to the damaged area to fix the badly scratched DVD disc. If nothing good happens, please resort to other free Mac DVD players like VLC, 5KPlayer and more, which can automatically skip over the damaged area when reading DVD internal data. As is known to all, most of deep scratches may be not repairable. Thus, you have to buy a new one or ask the publishers to send you a new copy in exchange for the damaged copy. Under this circumstance, you may lament, "why I haven't made a digital copy for my favorite DVD?" If so, everything becomes much simpler. Now, it's not too late. Free download MacX DVD Ripper Pro and you can use it to repair damaged DVD disc and copy DVD computer, USB hard drive, ISO image, single MPEG-2 file, high quality MKV file, MP4 (HEVC), MP4 (H264), MOV, AVI, WMV, VOB, as well as iPhone X, iPhone 8/Plus/7/6s/6/Plus, iPads, Android, Microsoft device, PS4, etc. Cause 4: Unsupported DVDs (Blu-ray disc & region code issue). "I'm a loyal Japanese movie fan and I'm so excited that I borrowed a Japanese movie DVD from my classmate. But, I found DVD player ejects DVD on Mac after putting DVD into my Mac DVD drive. What's wrong? Is it influenced by DVD region code?" Solution: The basic reason for Mac DVD player not working black screen is that Mac laptop itself doesn't support blu-rays playback so that users often come across the issue of Mac DVD player not responding issues. In such case, users have to buy an external blu-ray drive and apply the 3rd-party apps (VLC, 5KPlayer, etc). Region code is one of the most common DVD encryption technologies. For fluently solving this issue, you are suggested to take advantage of a DVD ripper like the former Mac DVD Ripper to remove region code 1-6 from DVD (see how to play region 1 DVD in the UK). In addition to transcode DVD to MP4 MOV MKV, this DVD decrypter also can also rip 99-title DVD, workout DVD, Disney oversized 75GB DVD, damaged DVD, unplayable DVD, AV adult DVD, irrespective of CSS, Disney DRM, Sony ARccOS. Step 1: Free download this professional DVD ripper on Mac. Launch it and then click "DVD Disc" button to import DVD disc. 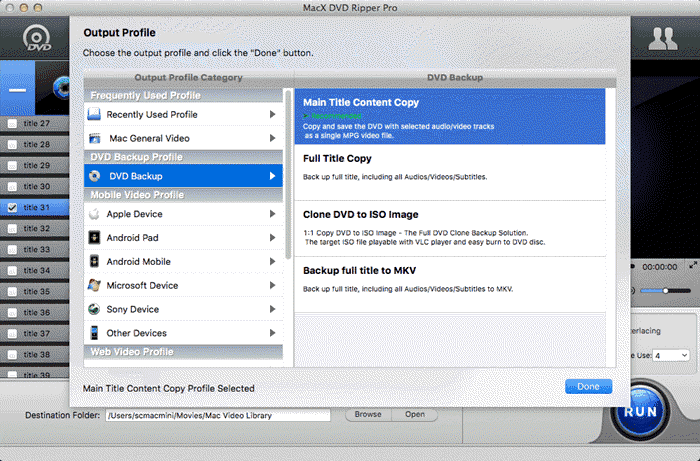 Step 2: Select the DVD backup mode from the output profile window: Clone DVD to ISO image, Main title content/Full title copy, or backup full title to MKV. Alternatively, you also can choose iPhone X, iPhone 8/Plus/7/7 Plus, iPad Pro/mini 4, iPad Air 2, Samsung Galaxy S8 edge, Sony Xperia Z5, HTC, Surface Pro 4, Xbox One, PS4, etc. mobile devices as the output format. Step 3: Specify a destination folder to save the output DVD digital file via the "Browse" button. Step 4: Press on "RUN" button. This Mac DVD copy program will begin to repair badly scratched DVD and copy DVD to digital formats (MP4, MOV, AVI, MKV, FLV, etc.). Notice: You're only allowed to use this DVD Mac ripper to rip DVDs for playback on Mac under fair use, instead of illegal reproduction or distribution of copyrighted content. Please obey your local DVD copyright law before doing it. DO NOT do harm to others' lawful rights and interests. How to solve SuperDrive not working problems? In this guide, you can learn some common & professional ways to easily solve various Mac SuperDrive not working issues including SuperDrive not reading discs, not working on El Capitan. DVD No Sound Problem When Playing DVD on TV Fixed! Have you ever met no sound issue when playing DVD on TV? Follow this article to search for the DVD no sound on TV causes and learn how to fix DVD no sound problem on TV. MacX DVD Ripper Pro helps you solve Mac DVD player not working issue by letting you play DVD movies without DVD player hardware. To be specific, it allows you to rip DVDs to digital MP4, MOV, MKV, MPEG-2, ISO image, VOB, etc. so as to completely yet eternally fix DVD player not playing issue.